Ready to explore the extremes of your workout routine, get in these gym leggings for women to power up your motivation to do more. These trendy style leggings will make your legs look sexier. The color options are available. You can choose between red and blue. Both these colors are fun to own. The unique design makes these leggings stand out. Gym Leggings for Women is perfectly balanced with right fabric to make it breathable and a hit in every season and style to get the most fabulous look ever. The varied sizes are available to meet the needs of all body type. 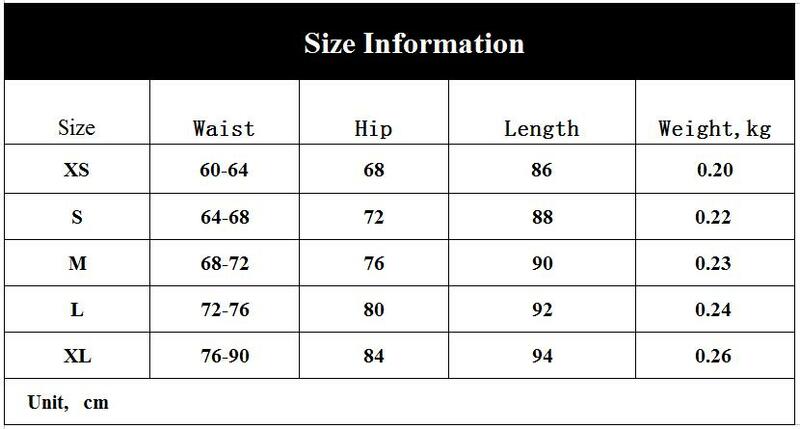 Refer the size chart to order the best fit for your body type. You would love to workout in these leggings if you opt for the correct size. Washing instructions are also simple. Use cold water and can dump these with other clothes in the machine. Bleaching is not recommended. Hang dry and do not use iron. Quick shipping and leggings are just as in picture. Fabric is great too. Going to order different colors. Happy!